Since pre-Columbian times, Maricopa has had three distinct locations, each with its unique history. Prior to and during the early colonial period, native bands of the Akimel O’odham (Pima) and Pee-Posh (Maricopa) lived in the Phoenix Valley around the Gila River. 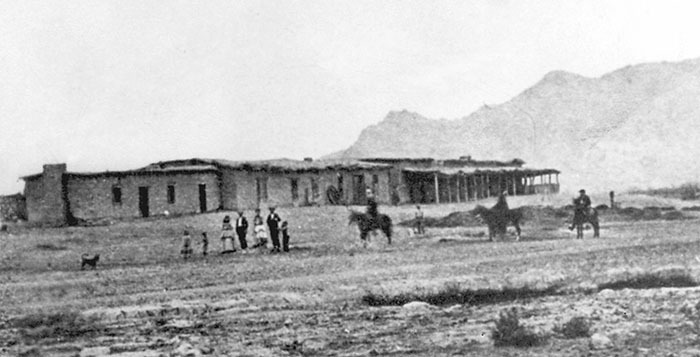 Relying on native trails and the “good-natured” tribes in the area, a stagecoach route was established just west of Pima Butte connecting Tucson with Phoenix. Along that route south of the Gila River, about eight miles northwest of the current city limits, a relay station was built. Settlers called the stop Maricopa Wells after the O’odham word for the Pee-Posh people. A steady supply of fresh water made it a desert oasis fed by wells reaching into the underground Gila River. When Arizona became a territory in 1863, there were only three communities in the state with considerable size – Tucson, Prescott and Maricopa Wells. Prior to the construction of the Southern Pacific Railroad, Maricopa Wells was a major supply post on the Transcontinental Mail Line and Butterfield Overland Stage Mail Line. Upon completion of the SPRR in 1879, the post was moved south to meet the tracks at its second home – Maricopaville – about 3.5 miles west of its current location. 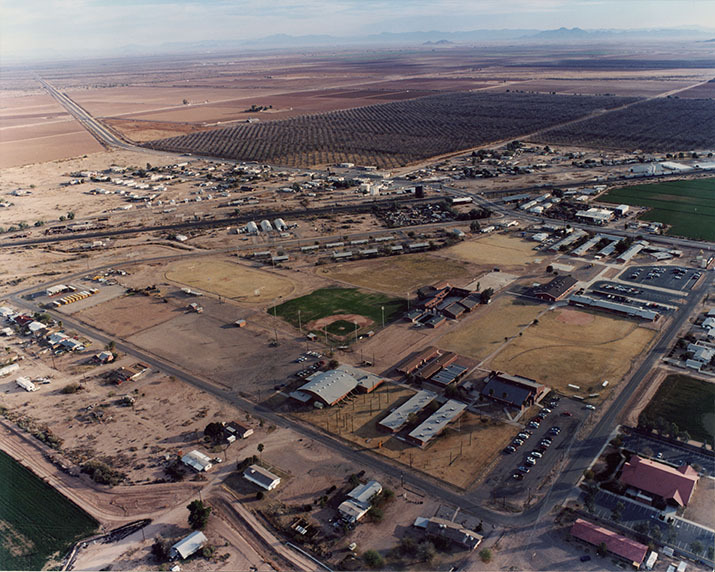 Maricopaville suffered a short life, lasting only about seven years before being moved to its third and final locale. There were intentions to build a second rail line to connect Maricopaville to Phoenix (M&P Branch Line), but residents in Tempe became upset by the prospect of being excluded from access to the north-south line. In 1886, their noise eventually forced the M&P Branch terminus (Maricopa Junction) east to where the city of Maricopa is today. 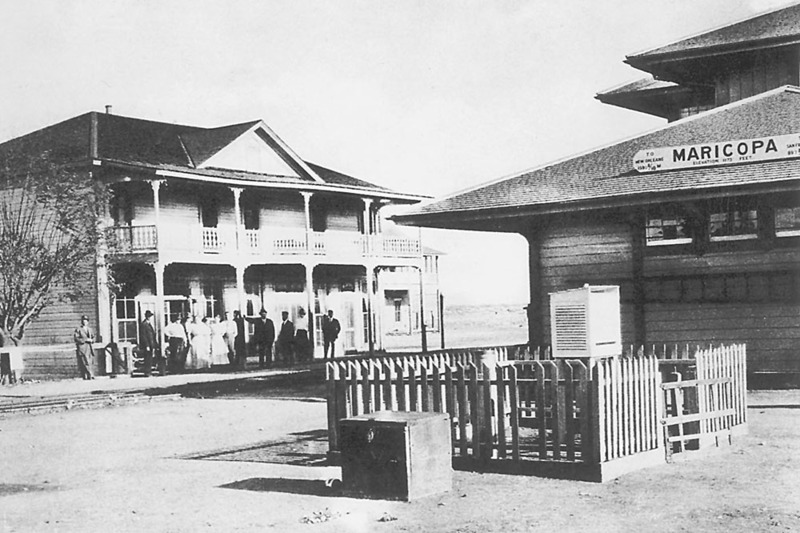 In 1887, the first M&P train went into operation, and a year later the Maricopa post office opened. Shortly after Maricopa found its new home, Maricopaville succumbed to the flames of a destructive fire, taking most of its buildings and homes, and sending its few inhabitants east to Maricopa Junction. Over the next 35 years, Maricopa Junction experienced modest prosperity building churches, a hotel and schoolhouse. In 1912, under President Taft, the federal government established reservation land south of Maricopa Junction. Less than a year later the federal government shrunk the reservation by half due to opposition from area farmers. Ak-Chin Indian Community was established in 1961. The population of Maricopa in 1920 was 381. In 1930, in the first year of the Great Depression, that number was reduced to 143. Later, in 1935, The M&P Line closed, and, over the following decade, struggled with the effects of the Depression and then a war-time economy. After World War II, the community began to again experience modest growth, even expanding the schoolhouse to accommodate the growing population. Over the next 60 years, some of the most well-known Maricopa families – Smiths, Farrells, Andersons and Burks – moved to the community and established their roots. In 1995, State Route 347 was finished, paralleling the old M&P Branch Line. The City of Maricopa officially incorporated in 2003. In less than 15 years, Maricopa’s population grew from just over 1,000 to more than 43,000 in 2010. Today, the population is estimated to be around 50,000.